Ça fait longtemps qu’on en parle au Québec : des constructions en bois de plus de quatre étages ! The current limit of four stories is primarily due to concerns with fire safety of a combustible structure. However, four specific areas are currently being developed to address the inherent limitations of wood structures: fire protection (building elements); emergency response (fire code requirements); building and plumbing services and structural and earthquake design. Structurally, there is no practical reason why high-rise buildings could not be built out of wood. There are many examples of tall wood structures throughout the world and there is much development in this area. Christchurch, New Zealand, has welcomed its first in 2014, and more are planned in Vancouver, B.-C. and China. Architectural design competitions are helping to put the spotlight on wood construction. Architect Michael Charters’ entry for the 2013 eVolo Skyscraper Competition was a sprawling mixed-use high-rise dubbed ‘Big Wood’. 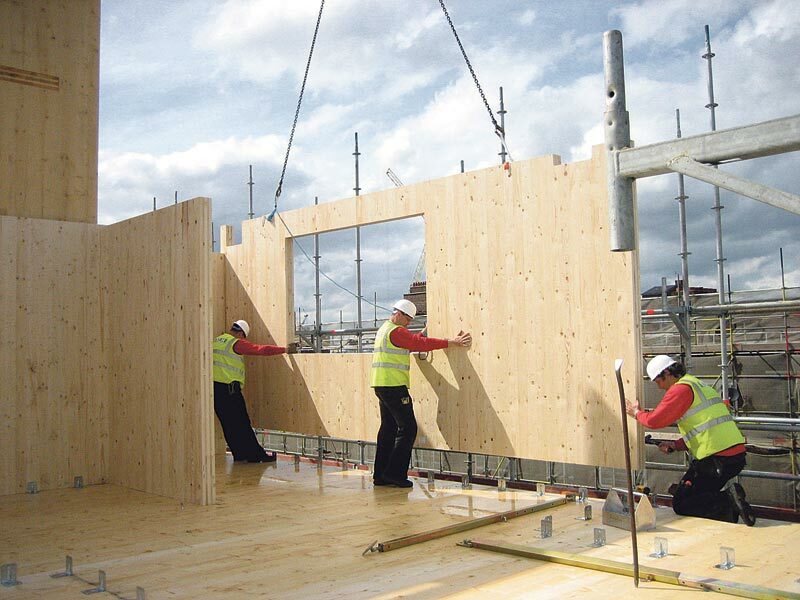 With today’s technology and advances in engineered wood, buildings of up to thirty stories are possible – and even higher if hybrid systems are used. 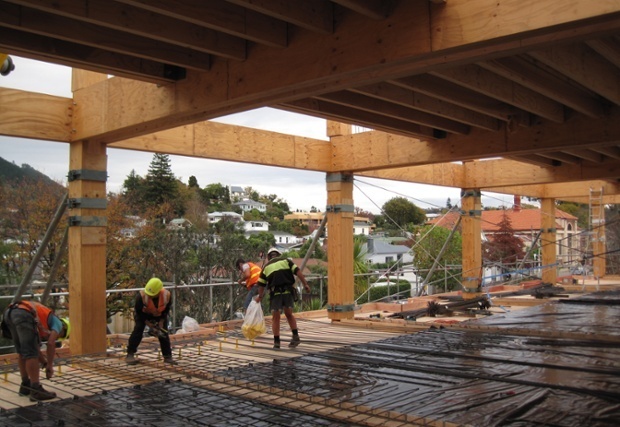 The use of ‘mass’ timber in construction is environmentally superior and, contrary to popular belief, these are structures that can provide a safe alternative to concrete and wood in the event of a fire. During a fire, only the exterior of the mass wood elements is charred, allowing the remaining wood to provide structural integrity. 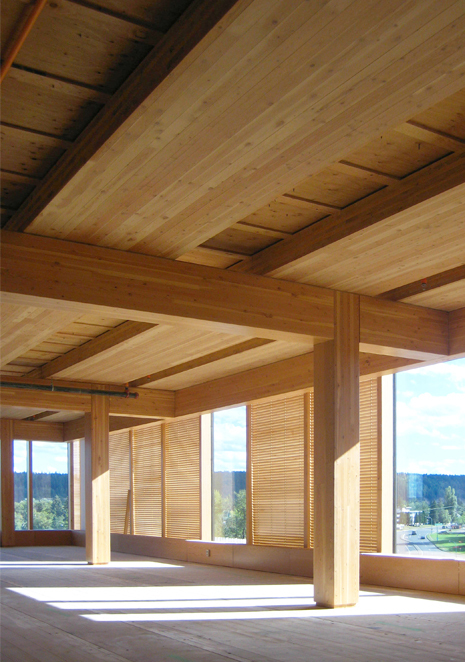 Michael Green Architecture – Wood Innovation and Design Centre, Prince George, B.-C. The Forte Building (Melbourne, Australia) and Murray Grove (London, UK) are currently the world’s tallest wood buildings. At ten and nine stories respectively, the structure of the floors, walls and cores are entirely constructed out of Cross-Laminated Timber (CLT). 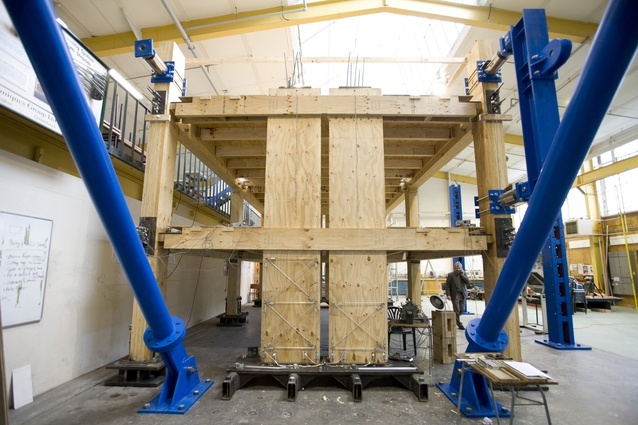 This engineered wood material is optimized for strength, but is also environmentally sustainable and has the added advantage of allowing for prefabrication and speedy construction. When it comes to seismic design, surprisingly wood structures fare relatively well. This became evident in the aftermath of Christchurch’s 2011 earthquake. 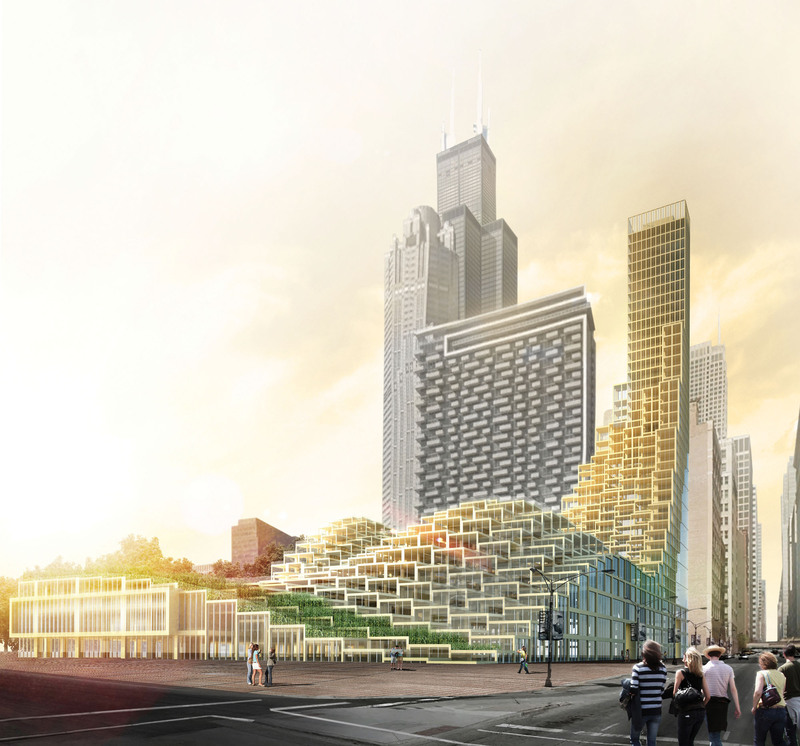 Systems are being developed to ensure future tall buildings in wood are able to absorb energy in the same way that concrete and steel frames are designed to. 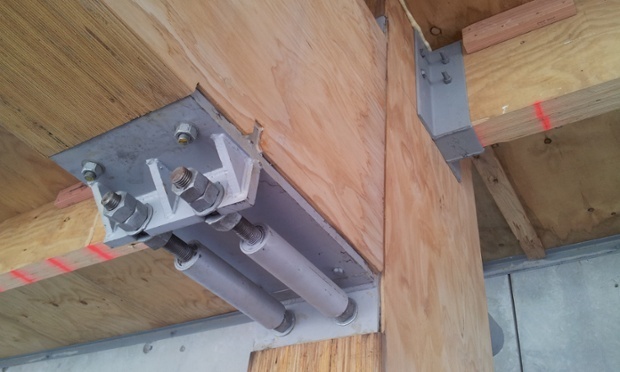 This includes post-tensioned systems as well as energy-absorbing connections.